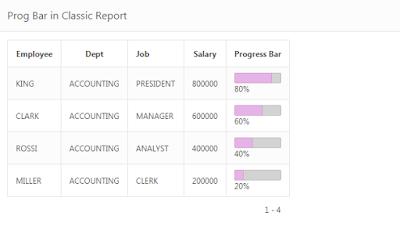 APEX can create "Percentage Bars" within a report. This can be achieved using HTML Code in your Report SQL Query. 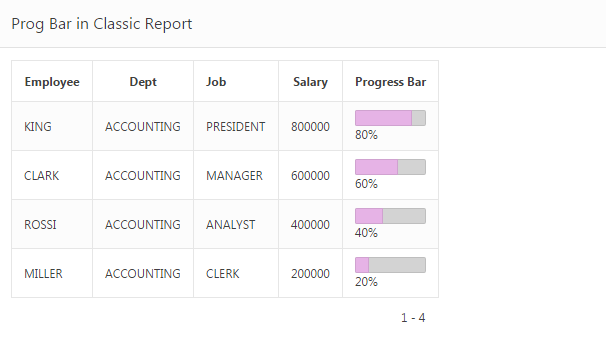 Use CASE Statement to display different colors for the bars based on percentage. If you want same color for the bar then use the same query without CASE Statements.